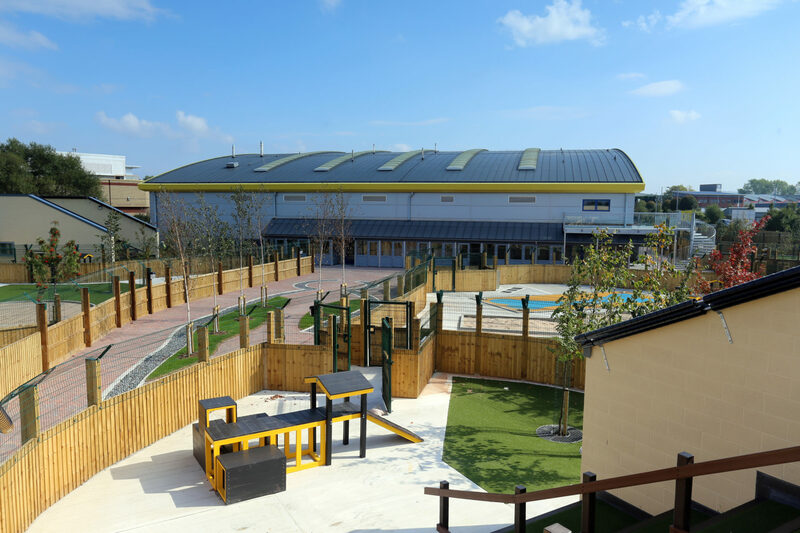 This £4.5m project in Denton, Manchester was McPhillips’ third rehoming centre development for Dogs Trust. Construction work to transform the former pet boarding and vet centre into a state-of-the-art rehoming centre completed on programme taking 49 weeks. 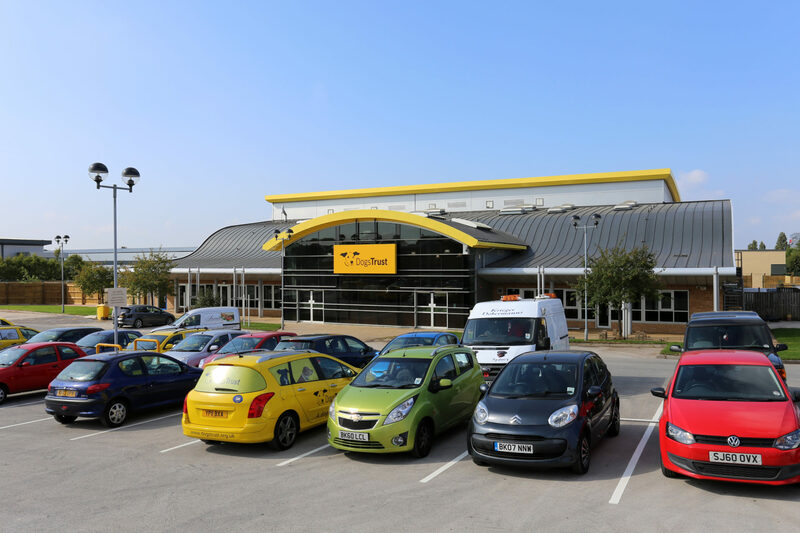 The site was formerly used as a pet boarding and veterinary centre operated by private sector company and covers 9350m2. 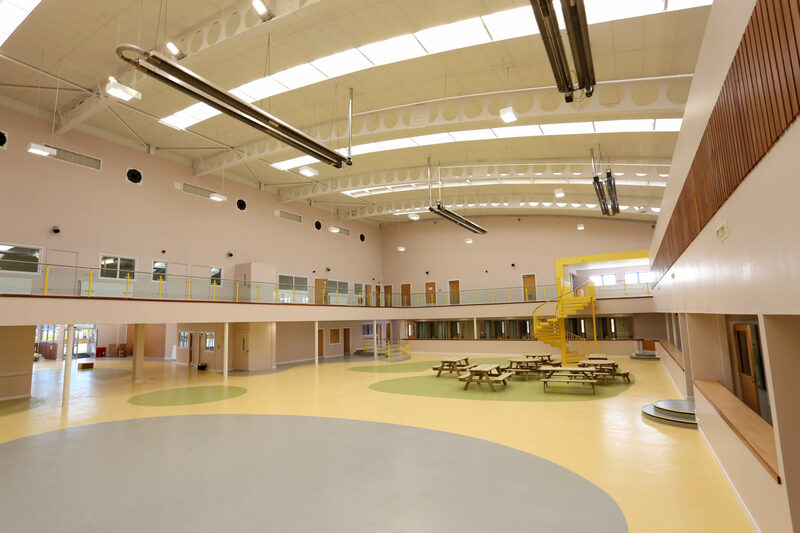 McPhillips has transformed the two storey 3224m2 main building providing rehoming kennels, vet suite, café, WCs, training room, office and two one bed apartments for staff accommodation to Dogs Trusts’ specification. In addition to this there is now two separate intake kennel blocks each occupying 450m2. 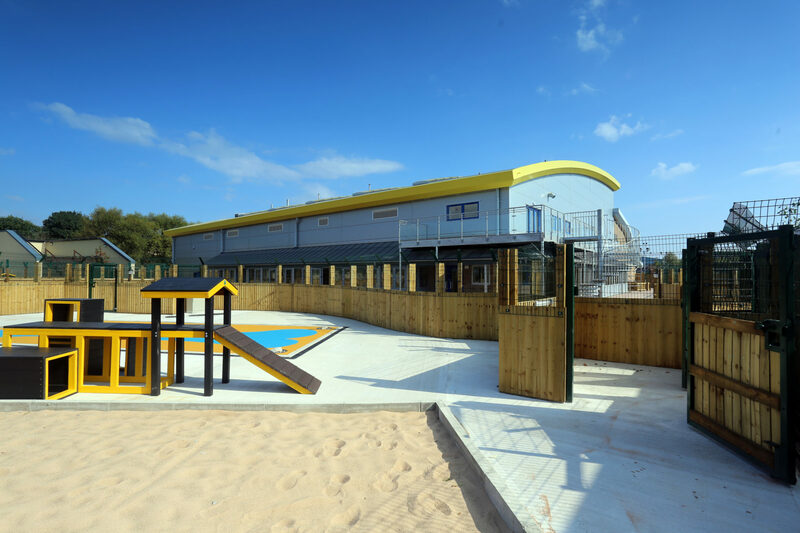 Externally McPhillips has provided new drainage for the site, laid over 1000m2 of Astroturf, installed 49kV of solar PV panels, constructed a 95 space carpark, fenced the entire perimeter and planted over 100 trees.